On October 23, ‘Korea Materials & Components- Ppuri Industry Week 2018’ was held in KINTEX, Ilsan, Korea. YG-1 was chosen as one of the ‘Best 1)Ppuri Industry Companies to Work in 2018’ at this event. A positive work environment, employee benefits and developing capacity are the primary factors for choosing the best company to work in Ppuri industry. 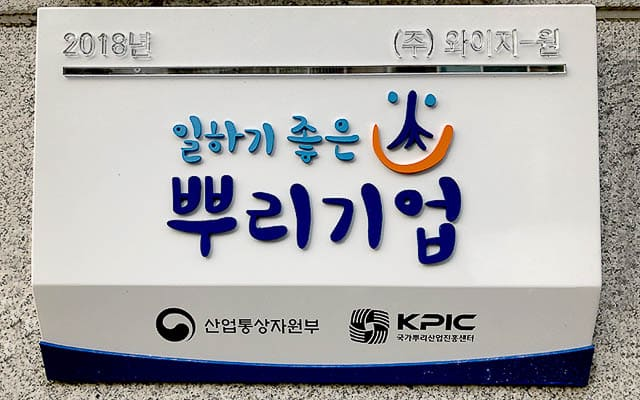 By the results of a written evaluation, meeting assessment, and site appraisal, YG-1 was selected as one of this work-friendly companies in 2018. 1) ‘Ppuri’ means the “root of a plant” in Korean, hence, Ppuri Industry is the first base industry and fundamentals of manufacturing businesses, such as casting and molding. Dream Drills, Series of Solid Carbide Drills which Pro..